Suit Up Saturday might be one of the most popular days at camp. We start of the day with a strong late wakeup – 8:45am. Hopefully everyone used the extra hour wisely and went to bed early and slept until the whistle. I definitely did! After breakfast, we have an extended clean up to end the week. Every room needs to be a perfect 10 before going to activities. The activity whistle blows at about 10:15. From there everyone heads to their majors where they will be for 2 hours straight until lunch. We call it Suit Up Saturday because this is the only day that the counselors also get in full gear and participate. Obviously there are safety rules put in place for the counselors. It’s so fun though because the campers love seeing these older guys and girls play their sports. Nothing cooler than seeing some division 1 hockey players glide on the ice in full gear. Same goes for Lax, Soccer and Baseball. Every major was going really well and we finally got some cooler weather today. Campers were working really hard and the directors were running some great sessions. Tons of cool drills and mini scrimmages were happening. The last 30 minutes of the period we had some full field, ice and court games going on. I loved watching and was enjoying every moment. After a pulled pork and mac & cheese lunch, we hit the dorms for a much needed rest hour. In the professional dorm we were all hanging out and doing some Mad Libs! Some very funny stories came out of this. At the activity whistle, it was time to hit the fields and the waterfront for a strong afternoon. 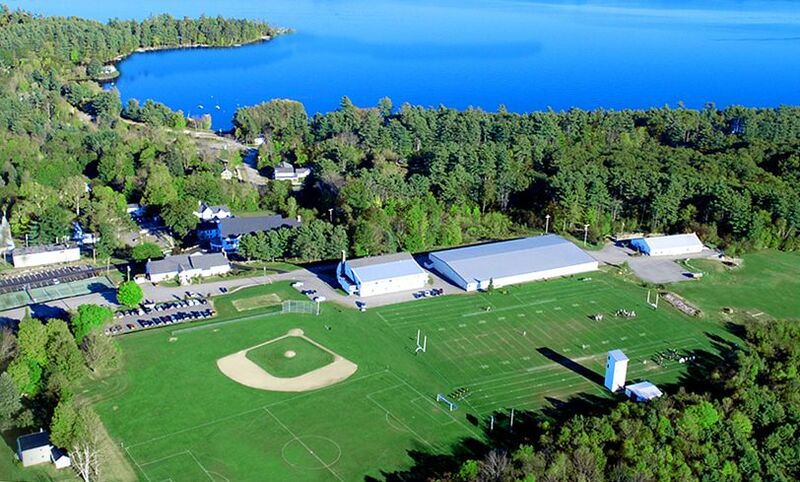 Arts & crafts, soccer, archery, basketball, canoeing, waterskiing, fishing, weight training & fitness, flag football, gaga, field games, ice hockey. All were running! What an afternoon it was. After a strenuous morning, it was nice to see the campers take it easy a little bit and just have some good old fashioned camp fun. I jumped on the boat and got to see some pretty sweet wakeboarding and tubing. Every Saturday night, we have movie night for the campers. The youngest campers, the rookies, head down to Koop’s house to watch and eat some snacks. The professionals head to the lovely air conditioned humanities center to eat and watch their movie. The seniors hangout in the senior lounge and do their thing. It was a great ending to a great day. Tomorrow is Lazy Bones Sunday and in the afternoon…Carnival Day!